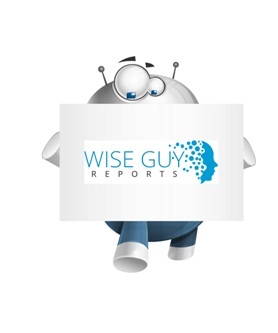 WiseGuyReports.Com Publish a New Market Research Report On –“ Oilfield Chemicals Market 2019 Major Manufacturers Analysis And Industrial Applications Forecasts to 2026”. The global oilfield chemicals market is anticipated to reach USD 35.08 billion by 2026. The moderate increase currently and expected boom in the near future of crude oil prices are expected to bring about increases in demand for oilfield chemicals that are used in well drilling & completion, hydraulic fracturing and EOR operations. The revival of drilling operations in the existing wells owing to increase in crude prices to a feasible level and the rise in drilling of unconventional wells for pilot project and also for production especially in the North American and North Sea regions will add to demand for these products. The enhanced technologies currently utilized for developing shale gas and tight oil resources have evolved as major trend over the past years. This will include the ongoing trend towards fracturing fluids for slick water and also high-performance drilling mud chemicals. Development of several chemical formulations that can address environmental concerns will have an important impact on its market, promoting to added demand for high quality environmentally friendly chemicals, including less toxic biocides and biodegradable shale inhibitors. Offshore operations are anticipated to stay vital contributor for the market globally and the necessity for environmentally compatible chemicals and fluids will be leading in the offshore environments. Projections for raw materials used for the development of oilfield chemicals are entrenched in the finished products outlook in which these are used. Polymers and acids used in such stimulation chemicals are expected to register higher growth, driven by constant expansion of the well stimulation technologies. However, clays along with other commodities used in the drilling fluids are anticipated to decline moderately early over the forecast period. Increasing concerns for pollution of groundwater and the environment are some of the major concerns for the industry participants. Companies have been investing significantly in R&D operations to constantly upgrade their products and offer novel chemicals to the upstream sector that satisfy every aspect of environmental regulations thus enhancing the required parameters of operations. North America is expected to be the largest market by the end of the forecast period. The U.S. market is anticipated to grow at a CAGR of around 4% from 2018 to 2026. After a short term decline in demand for these products in the country, the growing exploration and production from unconventional wells have played a major role boosting its demand again.Hydraulic fracturing is anticipated to be one of the major application segments globally. Despite the low crude prices, increase in average volume of chemicals used per well during 2017 was a primary factor driving the market.